From media, welfare and sport, to film, fundraising and events - working committees are run by students for students - they are a core part of the Students' Union and captured in our Constitution! Committees receive an annual budget from the Students' Union to deliver their activity, as well as full training and staff support. Aim to maintain and improve greenspaces in Sheffield and the surrounding peak district through work with environmental organisations such as the National Trust and The Peak District Rangers. Typically our activities include scrub clearance, dry stone walling, fence building, tree-planting and hedge laying among others. Home of debate and discussion at the University of Sheffield, Sheffield Debating Society is here to give all students a voice. Whether it’s learning how to express your views confidently, a desire to develop sophisticated arguments or simply wanting to learn some interesting facts about the world, we are here to help. 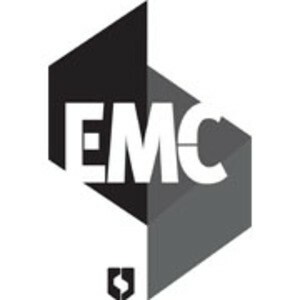 The Education Committee exists to campaign on educational matters at the University and nationally, to support the Education Officer, and to help implement educational policies at the SU and beyond. Events Management Committee support the Entertainments Department in running events. Our members help to market events, contribute to the setup and on-the-night running of club nights, gigs and guest lectures. Film Unit is a professional quality, independent cinema located within Sheffield Students' Union - we've been entertaining the people of Sheffield for over 65 years. You will be given the chance to present, film, edit or produce different shows. You also will have opportunities to interview visiting music acts, get media passes to big sports venues and get closely involved with filming events such as Union elections and Varsity. Forge Radio is Sheffield Students' Union very own student run station, broadcasting 24/7 during term time. Obviously if you can talk the talk and love music, you could be a presenter. Or you could produce a show, be part of the Production Team (they make all the station branding you hear on-air), Music Committee (they create playlists), News Team (bit obvious really), Sports (again... obvious) as well as our Promotions Team and even if you're a bit of a Tech wizz, join our Tech Team to help Forge run smoothly and ensure we are always on-air. The paper is free and has a readership of around 15,000 and is available from the Students' Union, a range of locations across campus and the city. The paper contains news, comment, features, travel and lifestyle, sport and the entertainments pullout Fuse. Sheffield RAG is a working committee of students at Sheffield Students’ Union who organise bundles of fundraising events over the academic year. All fundraising is completely student-led, this means that the committee, and student groups they work with, choose exactly which events they want to run, and the charities that benefit. Societies Committee aims to Support, Promote, Develop and Represent all Societies and Committees at Sheffield Students' Union. Our role involves allocating funding to Societies throughout the year, considering applications for New Societies, and being the representative voice of Societies and Committees to the Activities Officer. Sports Committee represents the views of the student body on all sporting matters. They support the sports officer, helping to gather feedback from students, promoting sporting opportunities and contribute to the development of student sport. They organise sporting events including Varsity and the Sports Awards as well as look at developing new initiatives and ways of improving the sporting experience at Sheffield. They promote collaboration between Sports Clubs and engage in volunteering and fundraising projects. Sustainability Committee work to represent students and societies on Ethical and Environmental issues in the Students' Union. Each year we aim to arrange many events, small and large. We work with many other committees and societies and with the student officers. We also run campaigns and events to raise awareness and bring out change within our Union. 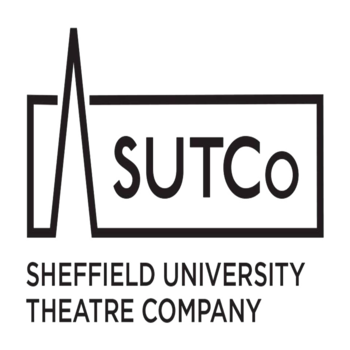 SUTCo is one of the leading student theatre companies in the country! Working with the Welfare Officer, the Activities Officer and other committees, we work hard to ensure all students are represented and know how to get help on the issues that affect them! Nightline is a student-run, confidential and anonymous non advisory listening and information service. We have been providing support to students of University of Sheffield for over 40 years and our service provides a safe environment in which our users feel able to talk about their concerns and feelings without fear of judgement.